WILLEMSTAD - The 47-year-old Burney Fonseca was sentenced on Friday to a 26-year prison sentence for involvement in the murder of politician Helmin Wiels. 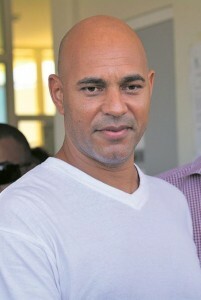 According to the court, Fonseca acted as 'middleman' in the murder. Last year he was already sentenced to 25 years. Fonseca, who is behind bars in the Netherlands for drug smuggling appealed against this ruling. The 54-year-old Wiels was shot on May 5, 2013, on the beach of Marie Pampoen. He was the leader of the then largest political party, Pueblo Soberano (Sovereign People). Elvis Kuwas was sentenced to life imprisonment in 2014 for this murder and two other murders. The Public Prosecution (OM) says to be "very satisfied" with the verdict against Fonseca and considers it "as a big step forward in the investigation into the death of Wiels". According to the OM, the investigation continues into the murder of the most popular politician on the island. For this, two former ministers, among others, are considered suspects. One of them, former Minister of Finance George Jamaloodin, is behind bars in Venezuela at the request of the OM.